Delhi-based Jasminder Singh did what others could not even imagine in their wildest dreams. 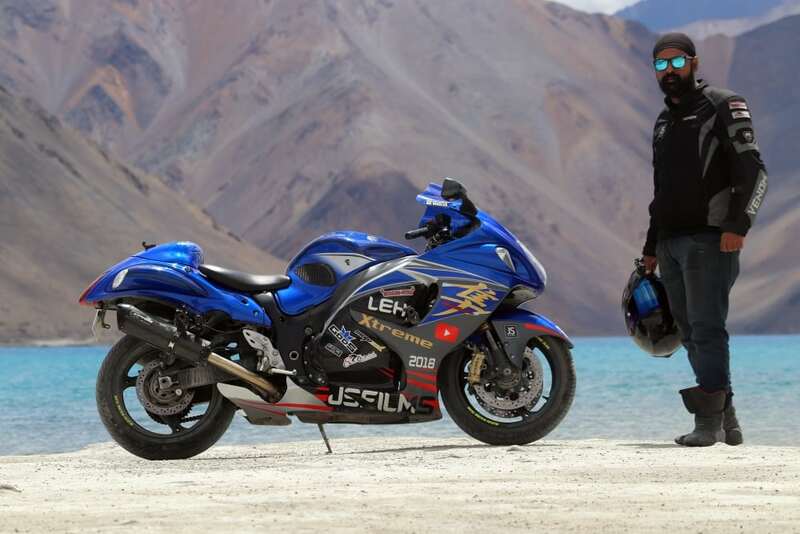 He took his Suzuki Hayabusa for a ride and managed to climb the highest motorable road in the world, the Khardung La Pass, with this mighty beast. For those who think just power plays a role here, the tough terrain that leads to Khardung La is tricky and too damaging for a newbie. Jasminder is a seasoned rider, knowing very well how to tame those 200 horses and balance the 266 kg beast on a road where even cars are difficult to handle. 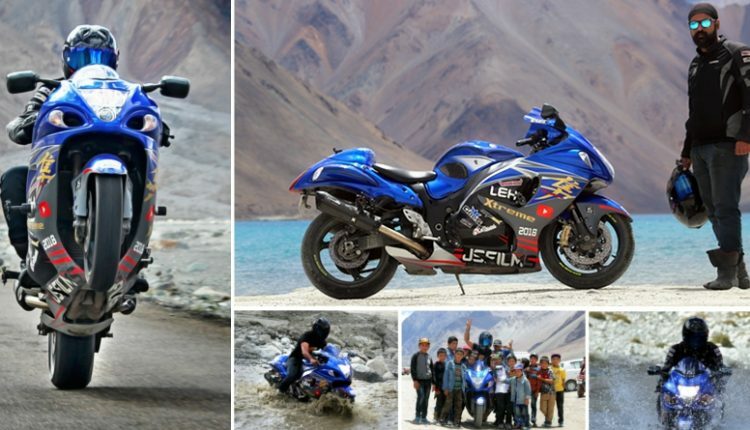 Suzuki Hayabusa is not made for rough terrains as the ride from Delhi to Khardung La, Leh, and yet Jasminder Singh claims that he had no trouble in getting the 1340cc monstrosity to the heights. This only goes on to prove how capable the bike really is, reaching the top point in a matter of 12 days. The locals had warned the daring Singh that the bike was not meant for the ride and it would not be able to breach the treacherous journey. Nevertheless, Jasminder had his mind made up and set forth to complete the impossible mission. He prepared for the journey with enough supplies and fuel and embarked from Delhi towards Amritsar on the first day. Riding along with him were four other bikers, two on KTM Duke 390, one on a Bajaj Avenger the last on a Bajaj Pulsar. After resting for some time in Amritsar, the group reached Jammu late in the night and spent the next day sightseeing and having the Duke serviced. This typical Duke was just 2 days old. Day 3 saw the group traveling from Jammu to Srinagar. They were lucky as the sunset of Dal Lake helped them relax from the tiring day-long journey. The very next day towards Kargil was a tricky part. The patience of Jasminder and Hayabusa was now on test. The stretch of Zoji La Pass is known for the unreliable conditions but the group managed to reach Kargil without any problem. On Day 5, with rain pouring all day, the group reached Leh late in the night. It may feel scenic when someone experiences rain from a safe point but, for a bike rider, the route becomes tougher than ever. For Hayabusa, the risk of hitting a pothole increases more than any other bike in the group. Leh is worth exploring and, the group went out of the hotel, visiting magnetic hill and Gurudwara Pathar Sahib on the same day. The 7th day was from Leh to Nubra Valley, going through the mighty Khardung La Pass. 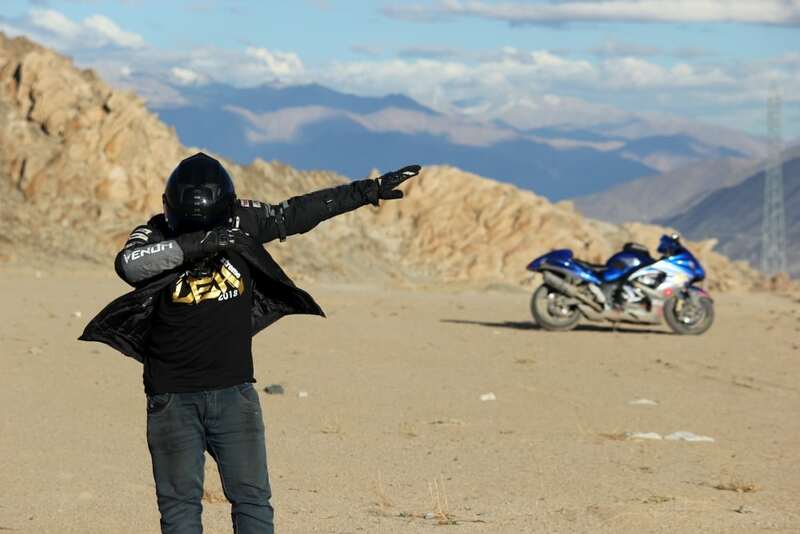 After fighting a traffic jam, the group conquered the pass and went for Nubra Valley. A night stay in Nubra was pre-planned. Nubra to Pangong, the next day schedule, was full of surprises. Multiple river crossings made the day difficult as one of them took 2 hours. 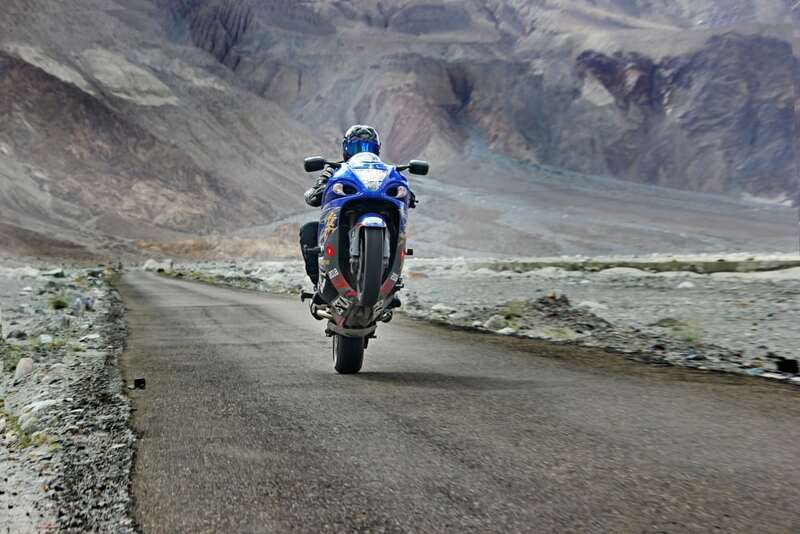 Jasminder Singh performed a wheelie on the Hayabusa, recording the highest wheelie in the world at 14,000 feet above the sea level. 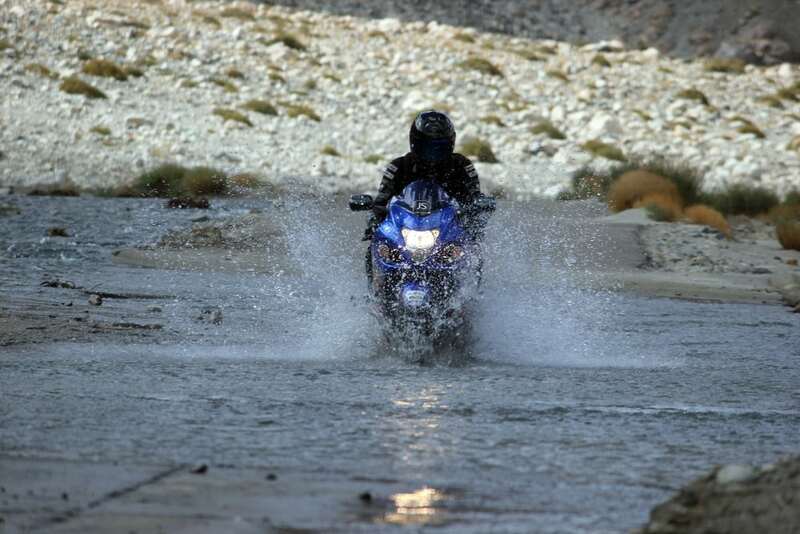 He noted a chapter in history, reaching the Khardung La pass on his Hayabusa. People were rejoiced to see him achieve his goal and took pictures. 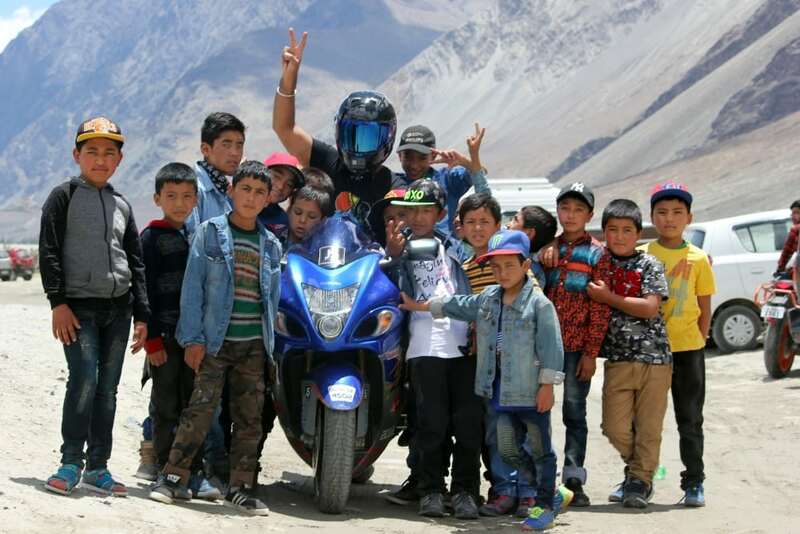 He also met with a horde of bikers, who, too, was amazed to see the superbike in action, embarking on a journey that is usually tough for almost all other bikes and, that too, without any troubles along the way. After tackling the zero visibility, snow-covered region of Tanglang La, the group then prepared themselves for a return ride through Manali. Heavy rains in that region had resulted in a landslide, which made their way-back tougher than they imagined. 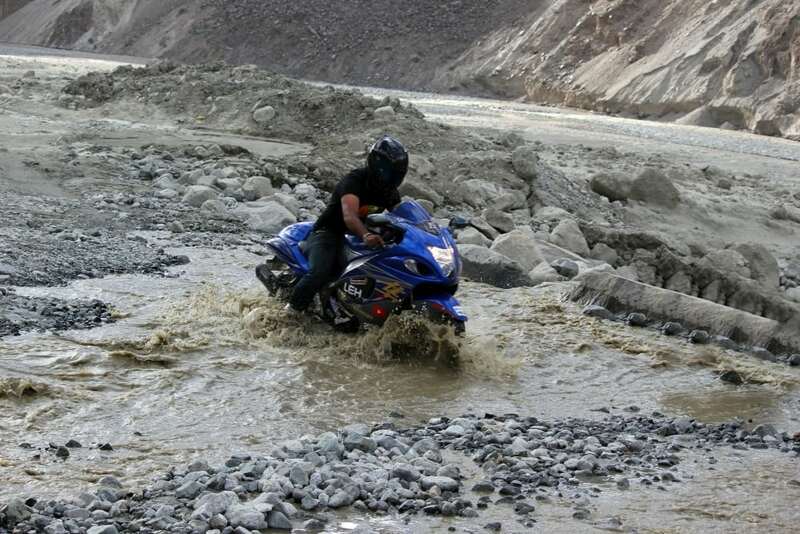 Not just that, rains had even created a slushy road for the Hayabusa from Keylong to Rohtang Pass. Jasminder must have tested his entire motorcycling skills on this road. It took them 4 days to reach Delhi through this route. 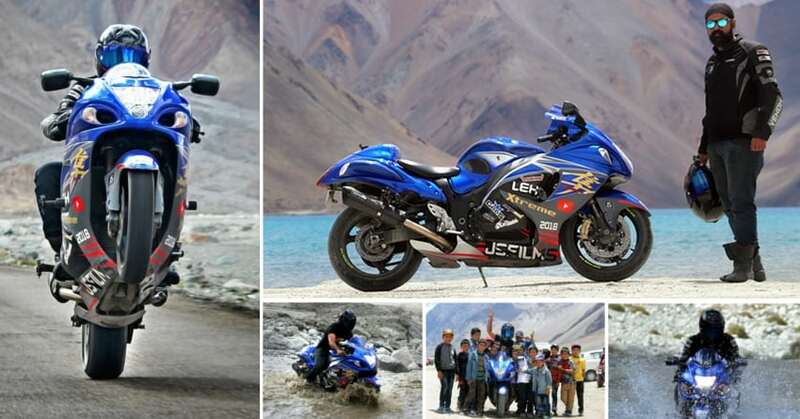 Jasminder Singh is the 1st Hayabusa owner in India to complete the Delhi-Srinagar-Leh-Manali-Delhi circuit by road.